Experience the benefits of Brilliant Distinctions with Dr. Beth Collins, who is in the top 7% of doctors performing BOTOX and dermal filler treatments. Brilliant Distinctions is a customer loyalty program from Allergan, the makers of Botox, Juvederm, and Latisse. When members of the Brilliant Distinctions program choose Allergan treatments with Dr. Collins, they can earn points. These points can then be used toward future Botox or Juvederm treatments, or to purchase Latisse. 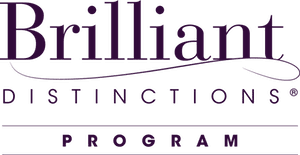 You can register for Brilliant Distictions on Allergan’s website. Be sure to select Dr. Collins as your provider and let Dr. Collins’ staff know you are a member when you book your next treatment.